We stayed here because we were attending a wedding close by. Staff were extremely friendly and helpful. Room was spacious, modern and clean. Great value. Friendly, helpful staff - always available. They accommodated an early check-in. Pet friendly, very clean and excellent breakfast. Otherwise and great stay! The staff were excellent. So friendly and helpful. The hotel is well finished and clean. Will definitely book again. 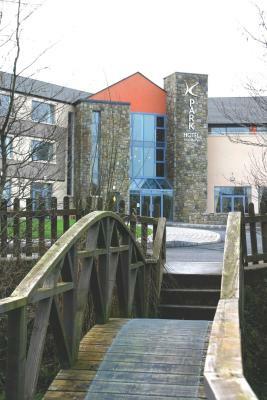 The luxurious Park Hotel is a 5-minute walk from the center of Kiltmagh, in West Ireland. 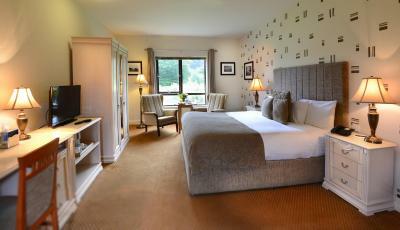 It offers individually designed rooms and a gourmet restaurant. 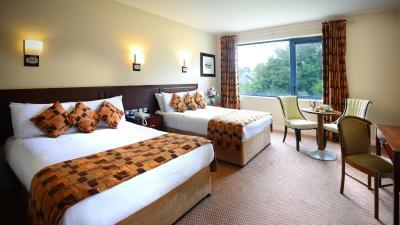 The spacious rooms at the Park Hotel are elegantly furnished and feature TVs. Free Wi-Fi is available in most rooms and all public areas of the hotel. 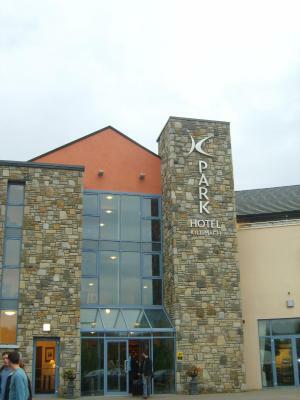 Park Hotel has a comfortable lobby area a modern cafe bar. 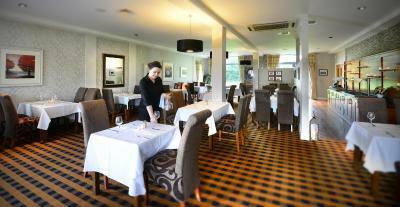 The restaurant serves fine international cuisine as well as fish specials. Really good breakfast delivered to our room. Arrived on Monday and met the wonderful Operations Manager who gave us the warmest of welcomes. 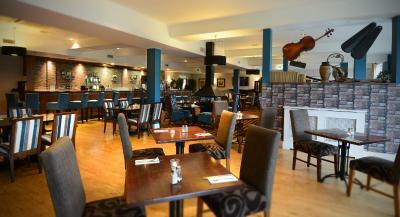 Had a lovely snack & tea in the bar, served by the lovely Mary. 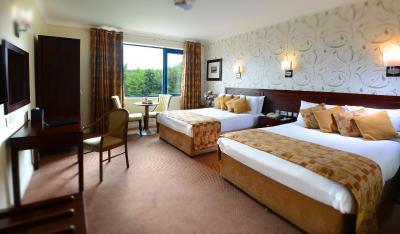 Our room was clean, spacious and very comfortable for myself & two of my children, with a lovely view & was very quiet. The restaurant was very very good and my children both had a three course meal from the kids menu which was fantastic value for money. The breakfast is delicious, with a great variety of foods to choose from. We left early this morning and the night porter very kindly left a tray out for us and had some croissants and pastries ready for us, a big thank to him!!! Only 20 minutes from Knock Airport and a nice little stroll from Kiltimagh, it was the perfect place for us and we will definitely return! Dinner in the restaurant was dreadful. Tasteless tempura prawns in stodgy batter. The wok stir-fried vegetables (with chicken) was mainly chunks of chicken in a glutinous sauce spread over a few shreds of over-cooked vegetables. My partner chose a salad, asking for sauce on the side. Not liking the look of the sauce she asked for some olive oil, but chef did not have any in the kitchen! Couldn’t provide a french dressing either. Fortunately, we could see the funny side, and the staff were super friendly, so all was not lost. With good cooking, this could be a truly excellent hotel. 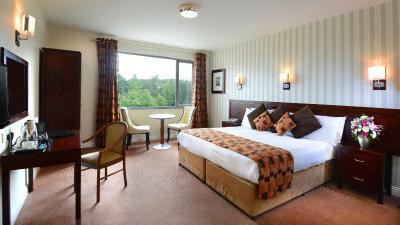 Very friendly staff, excellent room and facilities. Good breakfast. There was a constant droning noise in room 104. When I asked at reception they said it was the beer keg store and would stop at 2100hrs. As it was likely to stop at that time I did not ask to move rooms. However the noise continued almost all night and affected my sleep. When I discussed the problem on check out in the morning I was told the hotel was "almost empty" and that the staff should have moved me. Very disappointed in the response to my significant problem. Breakfast - bacon was too hard to eat and generally all elements of breakfast uninspiring. The bedroom was lovely and the beds too. I asked for a quite room which I got. When we arrived there was no one at the Reception. The room was very cold and the TV was very small. Superb! Staff, Food, Bed Couldn't fault anything. Superbly clean too.